As long as there have been cars, there’s been rivalries. Bentley against Bugatti. Impreza vs Lancer. Ferrari or Lamborghini? You get the picture. These days, you’ve got to be trying very hard to end up with a “bad” car, and this has made whittling down your choices even harder. With all segments of the new car market more competitive than ever, we’ve had a look at five pairs of adversaries, all of which are phenomenally popular choices among new car choosers. But which ones do people who lease tend to choose? 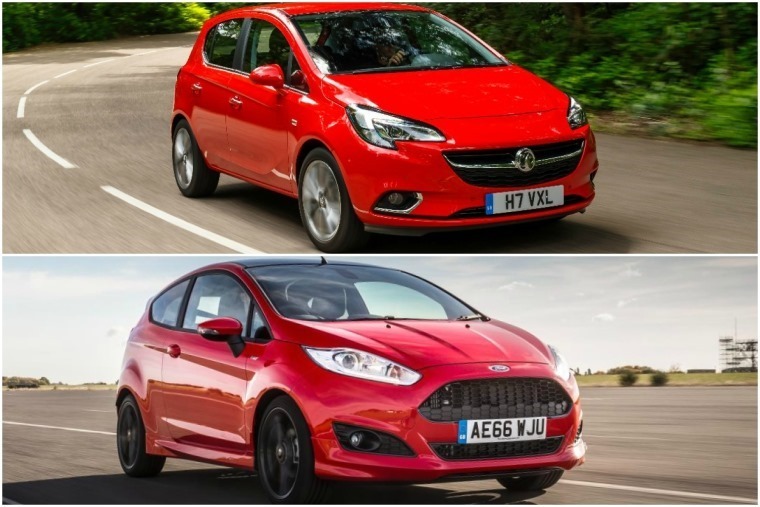 The Ford Fiesta is the UK’s most popular car for good reason. It’s sensible and solid, yet it is also one of the most fun, best-handling superminis available. It’s been in production in one guise or another since 1978 and, while there’s a new version coming this year, don’t be put off; the current car still leads the class in most domains. 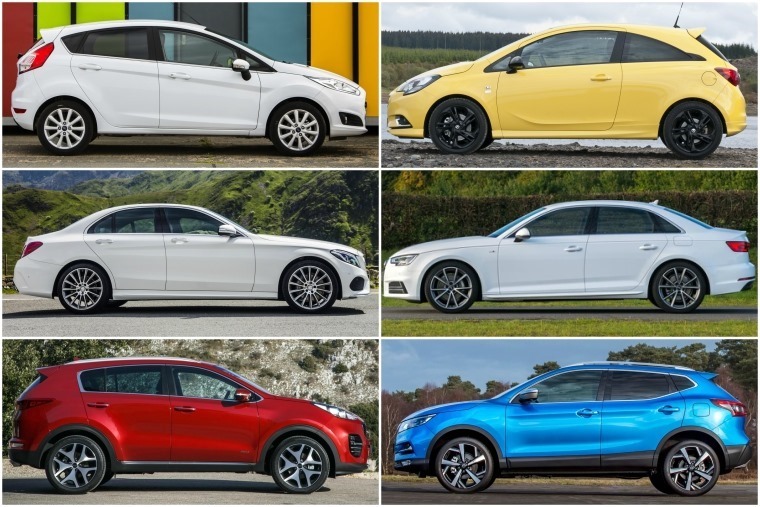 Another big-hitter on the sales charts is of course the Fiesta’s nemesis: the Vauxhall Corsa. Once upon a time, we’d have recommended the Ford over Luton’s finest any day of the week, but the latest Corsa really is a viable alternative. Well-built, spacious and even good-looking, this supermini is a match for anything the Blue Oval has to offer. But ultimately, the Fiesta is the most popular to lease and to buy. Another of Ford’s most popular products, the Focus takes the Fiesta’s best bits and adds a dose of practicality, making it the perfect family hatchback. Whether it’s the frugal EcoBoost, the sporty ST-Line or the all-out fire-breathing RS, there really is a Focus for everyone. 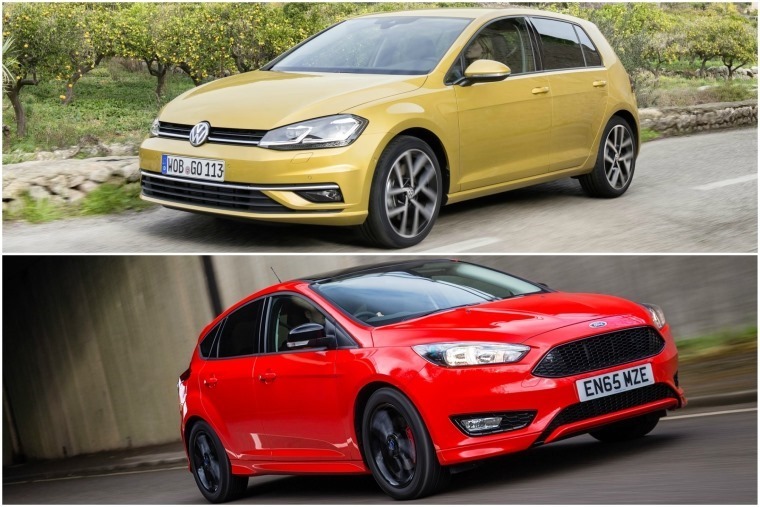 Although Ford certainly have a quality product in the Focus, it will always have to put up with being in the Volkswagen Golf’s shadow. That’s because the Volkswagen was the first modern hatchback and, after four decades of constant tweaking and improvements, it’s still the benchmark other manufacturers look up to when they want to create their optimum hatchback. Although more people choose to buy the Focus, when it comes to leasing … the Golf is way ahead. 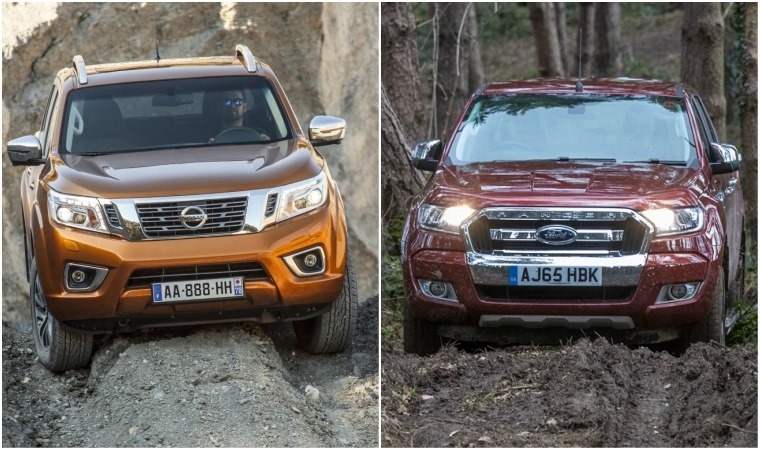 Nissan has been top of the charts with its Navara for a long time, and with the latest version you can tell why. Unlike the days of old when pick-ups were rough, tough machines with few creature comforts, the Navara is kitted out with the very latest tech. If you really want a pick-up that’s as car-like as you can get however, you may want to try the latest Ford Ranger. Refined and comfortable, it’s one of the most luxurious pick-ups on the market today. It doesn’t leave practicality to change though, with a payload of up to 1,200kg and a 1.5m load bay even if you opt for a double cab, this really is beast-of-burden that can double up as the family car. Since it’s latest refresh, it’s raced to the top of the pick-up lease charts. And now we come to the current ‘must-have’ cars of the moment: crossovers. 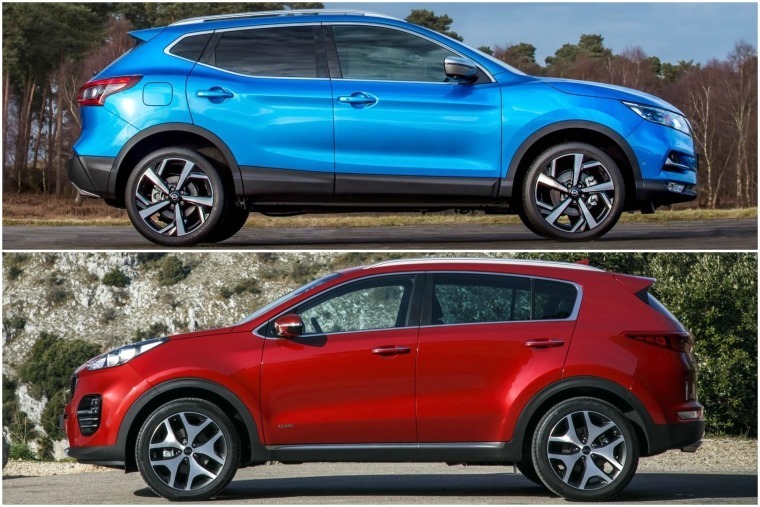 The one that really kicked the trend off was Nissan’s Qashqai back in 2007, and it remains one of the most popular small SUVs to this day. With supreme comfort, economical engines and that all-important elevated driving position, the Qashqai is still the class-leader by default. Last year however, the redesigned Kia Sportage arrived to take on the seemingly all-quashing Qashqai, and it’s just about done it; on the leasing market at least. The latest Sportage proved to the world that Kia was no longer just a budget option. Supremely well put together, it’s no wonder that it was the fourth most enquired vehicle overall on ContractHireAndLeasing in 2016, and the most popular SUV by miles. With sharp executive styling, a range of potent turbocharged engines and of course, the trademark Audi build quality, the A4 is the very definition of the executive saloon. The desirable badge means residuals are great too, so for those looking to lease, there’s some fantastic deals going. 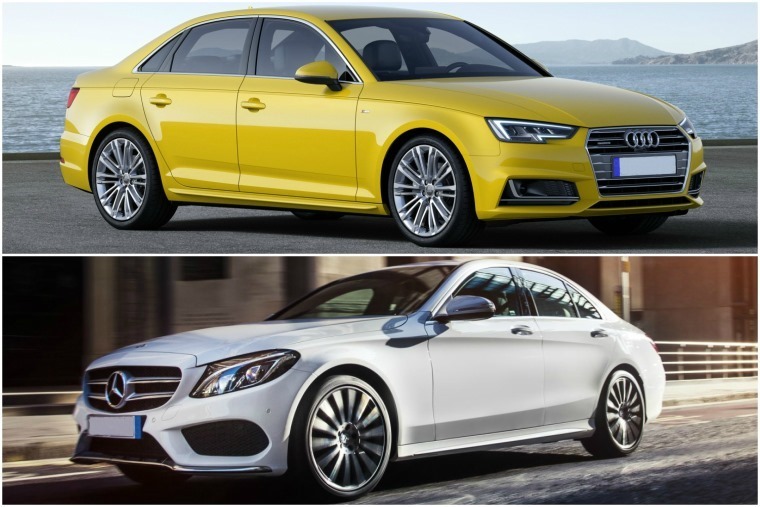 But for the ultimate compact executive lease, it’s the Mercedes-Benz C-Class that edges into the lead. It’s ContractHireAndLeasing’s most enquired car across business and personal leases, and not just thanks to that three-pronged badge on the bonnet either. Elegant and sophisticated, driving a C-Class makes you feel a cut above everyone else, even if you’re not paying over the odds for it.